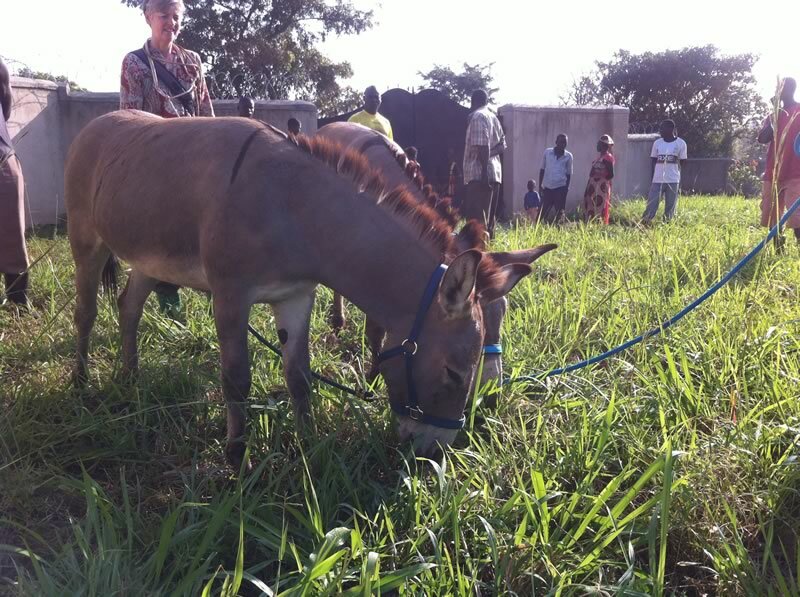 Thanks to the generosity of our clients who gave funds for donkeys at Third Hope, in Northern Uganda, we can now announce that they have actually arrived! 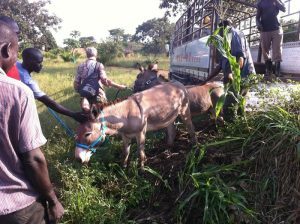 They arrived two days early and in good health – a record achievement for northern Uganda! They are settling in well. The male, Jacob, is very placid and good-natured. He’s already broken in, so people are able to get on his back. They won’t be winning any races at Kempton, but he’s already winning hearts. The female, Joy, is a lot shyer but with careful treatment and plenty of corn cobs, she is growing more confident by the day. Though they are both young, about two years old, Joy is already pregnant, so we can forgive her moodiness and we look forward to the birth. They will be valuable for light transportation of farm produce as well as a gentle presence around the farm. When recovering from war, all gentle presences are a welcome addition. The Third Hope Africa team are loving having them around. 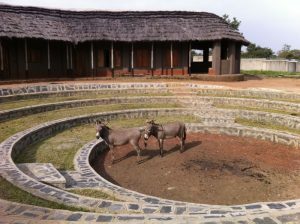 Most people in northern Uganda have never seen a donkey, so there are a lot of inquisitive locals coming to visit. Their arrival in this season leading up to Christmas has also been very meaningful to everyone in the team. Thank you again to everyone who came along to Kempton Ladies Day and we look forward to the next charity day out in 2018.